Draft: 2006, San Francisco Giants, 36th rd. July 27, 2013 New Orleans Zephyrs released 2B Matt Downs. January 18, 2013 Miami Marlins signed free agent 1B Matt Downs to a minor league contract and invited him to spring training. November 1, 2012 Houston Astros sent Matt Downs outright to Oklahoma City RedHawks. October 30, 2012 Houston Astros designated Matt Downs for assignment. September 1, 2012 Houston Astros recalled 1B Matt Downs from Oklahoma City RedHawks. August 10, 2012 Houston Astros optioned Matt Downs to Oklahoma City RedHawks. June 9, 2012 Houston Astros recalled Matt Downs from Oklahoma City RedHawks. June 3, 2012 Houston Astros optioned Matt Downs to Oklahoma City RedHawks. July 21, 2011 Matt Downs roster status changed by Houston Astros. October 11, 2010 2B Matt Downs assigned to Bravos de Margarita. September 1, 2010 Houston Astros recalled Matt Downs from Round Rock Express. August 25, 2010 Houston Astros claimed 2B Matt Downs off waivers from San Francisco Giants. August 25, 2010 Houston Astros optioned Matt Downs to Round Rock Express. August 23, 2010 San Francisco Giants designated Matt Downs for assignment. 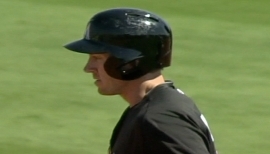 August 21, 2010 sent 3B Matt Downs on a rehab assignment to AZL Giants. August 3, 2010 Fresno Grizzlies placed 3B Matt Downs on the 7-day disabled list. June 16, 2010 San Francisco Giants optioned 3B Matt Downs to Fresno Grizzlies. May 31, 2010 San Francisco Giants recalled Matt Downs from Fresno Grizzlies. May 27, 2010 San Francisco Giants optioned Matt Downs to Fresno Grizzlies. April 18, 2010 San Francisco Giants recalled 2B Matt Downs from Fresno Grizzlies. April 2, 2010 San Francisco Giants optioned Matt Downs to Fresno Grizzlies. October 19, 2009 Matt Downs roster status changed by San Francisco Giants. July 27, 2009 San Francisco Giants optioned Matt Downs to Fresno Grizzlies. July 21, 2009 San Francisco Giants recalled Matt Downs from Fresno Grizzlies. July 4, 2009 San Francisco Giants optioned Matt Downs to Fresno Grizzlies. June 16, 2009 San Francisco Giants selected the contract of Matt Downs from Fresno Grizzlies. June 8, 2009 Matt Downs roster status changed by Fresno Grizzlies. June 2, 2009 Fresno Grizzlies placed 2B Matt Downs on the reserve list.